Some sandwiches aspire to greatness, while others are just born to it. The latter is certainly the case with this one. 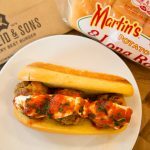 We collaborated with Martin’s Famous Pastry Shoppe to bring you the Spicy Pork & Beef Meatball Sandwich, a delicate blend of meat and spices that will elevate your next meal to the Italian countryside. 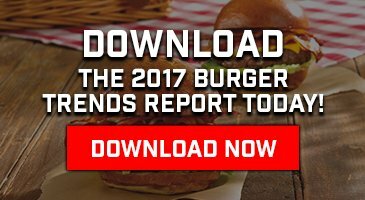 The meatballs feature a combination of sweet Italian pork sausage and the Schweid & Sons One Percenter to bring you a robust flavor unmatched by any other meatball! When you make this sandwich for your next family meal don’t forget to use Martin’s Potato Rolls. Martin’s Famous Pastry Shoppe, Inc. is a family owned and operated consumer goods company headquartered in Chambersburg, Pennsylvania. They are a bread and roll manufacturer that is rigorously dedicated to extraordinary taste, quality and customer service and proudly represents their legacy of cherished eating experiences. Their story starts in the 1950s, in the heart of “Pennsylvania Dutch” country in the kitchen of Lois and Lloyd Martin. It was there that they perfected their potato roll. In 1958, they converted their garage into a small bakery and throughout the next twenty years, distribution grew from local farmers’ markets to corner grocery stores and on to supermarkets. The sweet, buttery taste, soft texture, and distinctive golden color made the Martin’s Potato Roll an instant favorite.